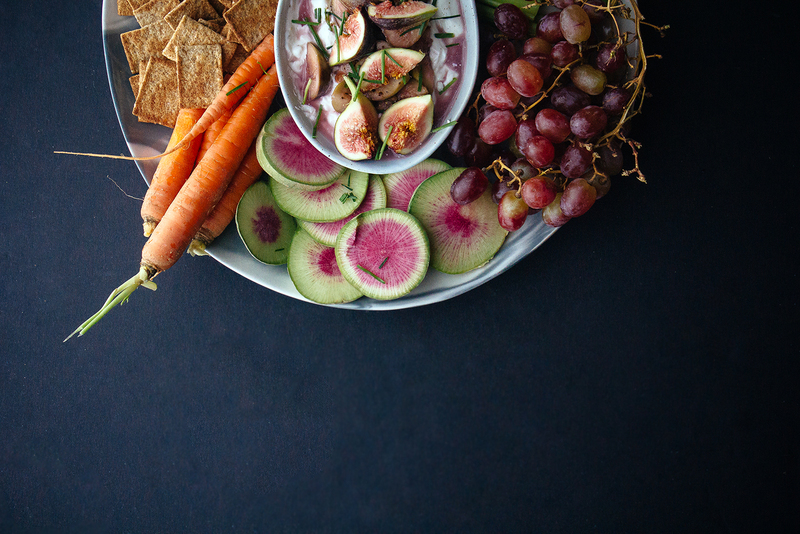 That’s a seriously gorgeous dip, and that tray of veg is just stunning! Safe travels to you! Of course! That is awesome – going to hop over and check it out now!! This actually sounds lovely as Thanksgiving dinner for me and my husband! It just needs wine! Oh my goodness! Hooray for *everything* on that platter! 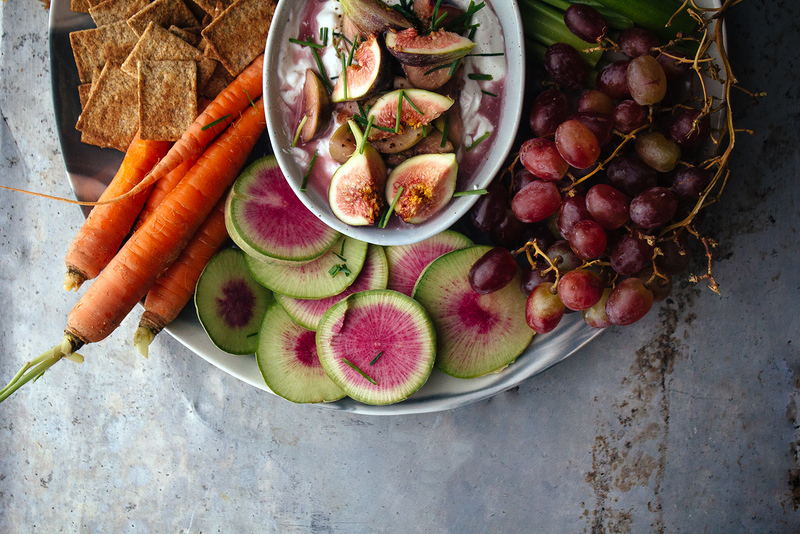 Watermelon radishes always make me swoon… I love your take of this goat cheese dip with the poached figs. Elegant yet super casual. Have a wonderful Thanksgiving! This would be a beautiful addition to any Holiday table. 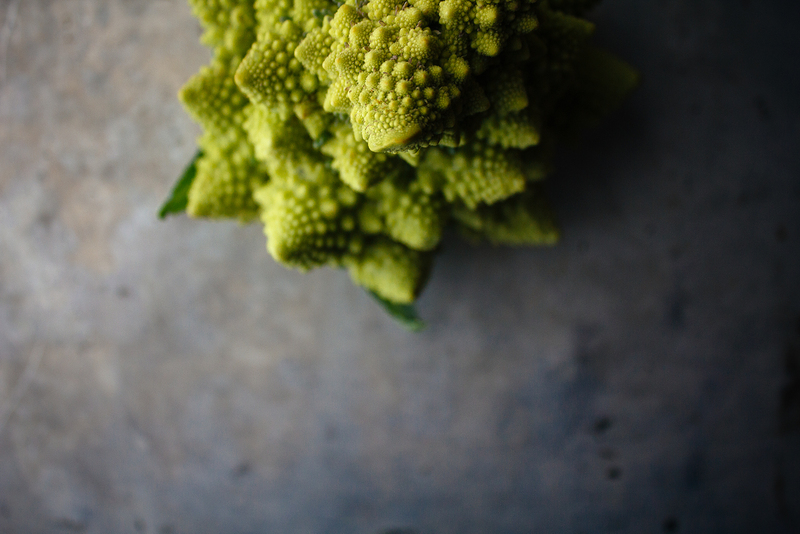 Such a visual stunner, and the goat cheese dip sounds super good. Finally catching up on my blog reading, and oh am I glad I did. This is stunning! I love the flavours, especially how you cooked the figs in wine. This is the ultimate entertaining dish!